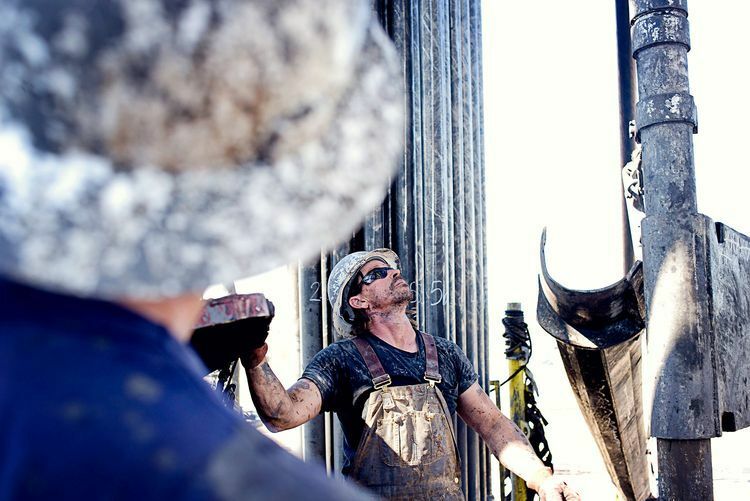 Floorman Matthew Thompson (cq) works on a Chesapeake Energy natural gas rig in the North Texas Barnett Shale bed rock deposit, in Kennedale, Texas,. Oil retreated amid worries that OPEC’s deal to extend production cutbacks may take U.S. shale activity to a whole new level. Futures fell as much as 1.5 percent in New York. OPEC and partners including Russia last week agreed to keep cutting output through the end of next year. North American explorers probably will boost spending by 20 percent next year, according to an Evercore ISI survey of industry budget trends. West Texas Intermediate for January delivery fell 81 cents to $57.55 a barrel at 10:34 a.m. on the New York Mercantile Exchange. Total volume traded was about 15 percent below the 100-day average. Brent for February settlement slid 99 cents to $62.74 on the London-based ICE Futures Europe exchange. The global benchmark crude was at a premium of $5.16 to February WTI. Oil has jumped about a fifth since early September as investors geared up for last week’s decision by the Organization of Petroleum Exporting Countries and its allies. The producers will maintain cuts until global output meets demand, Saudi Arabia’s Energy Minister Khalid Al-Falih said. But the danger is U.S. shale activity may surge, undermining the OPEC reductions. The U.S. oil rig count was already at the highest level since September last week, according to Baker Hughes Inc. data released Friday, and U.S. output was at a record high in the latest weekly government statistics. Pioneer Natural Resources Co., one of the biggest U.S. independent drillers, is planning to raise output to more than 1 million barrels of oil equivalent a day by 2026 from about 300,000 a day this quarter, Chief Financial Officer Richard Dealy reiterated last week at a conference in Singapore.